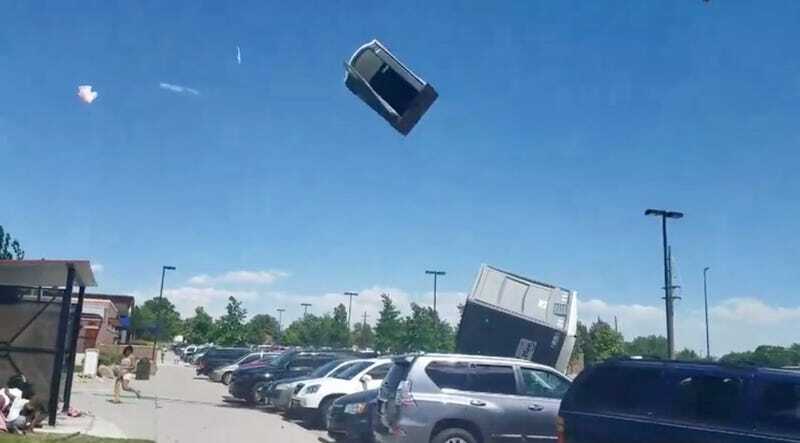 And now, the latest news from the Denver metro area: a portable toilet went to go meet the Sky Gods. It paid tribute to its former home on Earth by spraying a fine mist of odious liquid into the windy summer air. According to KTBS, nobody was hurt, and nobody was in the two toilets as they were called to another realm. Bitchin&apos; Politician Just Blasts Himself Right In The Eyeballs With Pepper Spray!